Holidays are usually packed with fun activities and precious decorations. During Christmas, for instance, people decorate their houses with various items and adorn Christmas trees with lights and all sorts of gifts. Accidents are common in these situations. If a Christmas tree catches on fire, it can cause extensive smoke damage. Having a fire damage restoration company at your fingertips can come in handy during this time. While many people have access to simple tools or DIY solutions, restoring smoke-damaged drapes, carpets, and upholstery is a difficult task. If you make an error, you may have to replace the item altogether. Professionals who follow IICRC guidelines can do the job well, and produce desirable results. When it comes to carpet, drapes, and upholstery, the most important thing to remove is soot. As it is an oil-based substance, soot needs to be removed as soon as possible to prevent it from attracting additional dirt. Professional restorers can use the necessary methods to remove it from your fabrics and carpeting. Smoke damage restoration companies also use specialty equipment to clean up the smoke. These tools include rotary scrubbers, wet cleaning tools, and extractors. The benefit of using extractors is that they have little to no detergent foam, allowing for unimpeded suction within the furniture and carpet. Attempting to undertake this task yourself can lead to several mistakes. These include failing to protect your carpet from the furniture, wetting the upholstery or carpet too much, and using excessive shampoo. Hiring certified technicians can also pay off when resolving disputes with insurance adjusters. Most policies cover smoke damage, either under the partial losses section or as a specific line item. The quandary is that adjusters tend to recommend replacement over repair when dealing with drapes, carpets, and furnishings. A certified professional can provide proof that, through proper techniques and solutions, some of the items can be restored. When looking for a fire damage restoration firm, you should ensure that not only is their training up to date, but they have formal documentation as well. The health and safety certificates of the technicians should also be in order, and they should possess vast experience in various restoration skills. 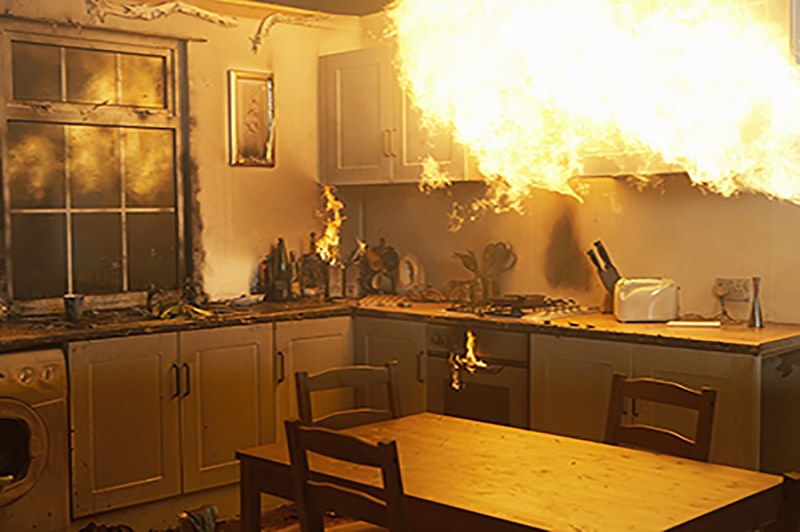 Smoke damage, whether minor or major, can cause significant loss of property. If it happens to you, contact a local trustworthy restoration company to clean up the structure and its contents. If you do not have one in mind, your neighbors can probably recommend a good restorer in Illinois. Click here for more about the city of Evergreen Park, Illinois.